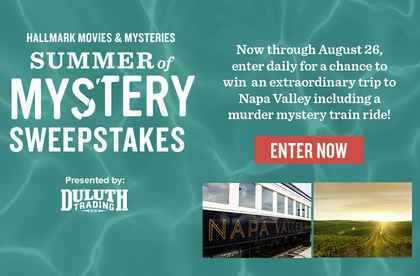 Enter the Hallmark Movies & Mysteries Summer of Mystery Sweepstakes now through August 26, 2018 daily for your chance to win an amazing trip to Napa Valley including a murder mystery train ride. Visit this link: HallmarkMoviesAndMysteries.com/summer-of-mystery/sweepstakes to go to the sweepstakes page. 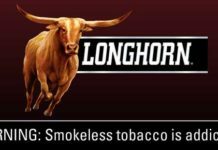 You can get additional 3 entries daily by playing online game by viewing a trailer and then answering up to three (3) questions per the onscreen instructions in order to earn additional entries. 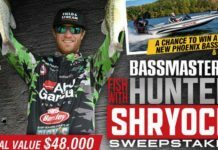 When To Enter: The sweepstakes begins at 9:00:00 AM Pacific Time (“PT”) on Friday, June 1, 2018 and ends at 8:59:59 PM PT on Sunday, August 26, 2018. 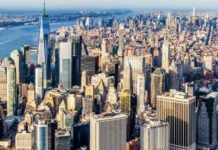 Sweepstakes Prize: One (1) Grand Prize winner will receive a trip for up to two (2) (i.e., winner and one (1) guest), to Napa Valley, California. Trip includes: Round trip coach airfare for winner and one (1) guest to San Francisco, CA from a major airport in 48 contiguous states, Four (4) days/three (3) nights hotel accommodations in Napa Valley, Tickets for two (2) on the Napa Valley Wine Train Murder Mystery, Hotel accommodations, Car rental for duration of stay.